Windows are truly an important part of any home. They play a role in adding visual appeal to a room. When decorated right, they can be the focus of any room or house. Windows are also essential to maintaining clean air that circulates naturally through a room by providing good ventilation. They also provide a place for natural light to filter in and light up a room, which can help to make a space look bigger, brighter and beautiful. However, unfortunately, windows can be fragile and hard to maintain, depending on the material. Some types of windows require more maintenance than others. There are certain problems that homeowners will want to avoid in order to ensure that costly repairs or even replacement windows are not needed. Read on to find out 7 window problems that you need to avoid. 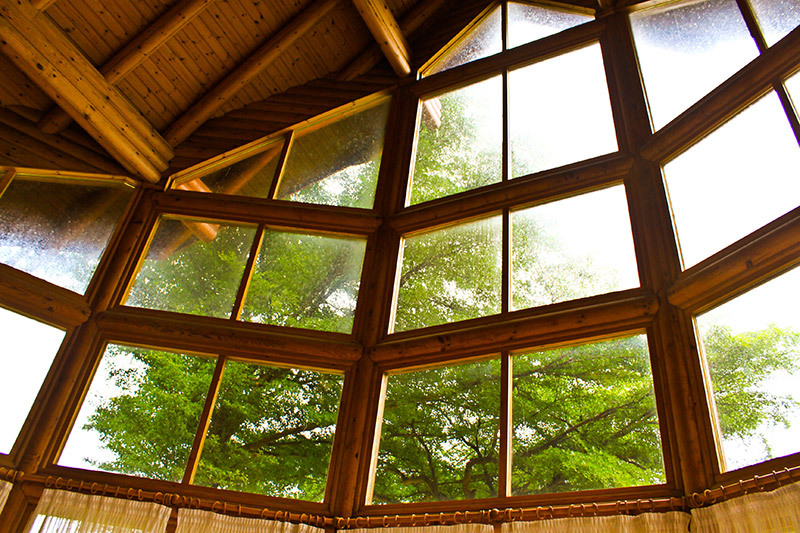 Wood is a popular window material for a few different reasons. One, it is highly customizable. It can look classy, traditional, retro or any other style, as long as you match the color and design with the rest of your home. Second, it has a rich, elegant feel to it unlike fiberglass or other types of window materials. Third, it’s easy to paint and decorate. However, wood can be a high maintenance material. It requires paint more often than other materials, and it can be easily dented or nicked. One other problem with wood is that it can decay or rot in certain circumstances. When the weather is bad, the moisture from snow or rain can start to impact the wood and cause it to warp. This is because the changes in temperature make wood expand and contract. These changes in temperature in the long run impact the wood for good and cause it to crack or decay. Wood can even get moisture and start to decay from a fungus that grows on it. In either case, the wood will start to deteriorate, and you’ll need to get the trim, molding or whole window replaced. Termites are attracted to organic matter. One of the matters that they like to chew on and destroy is wood. If you have a wood window and it has started to attract moisture, you may get a termite problem on your hands. Termites are naturally attracted to wood and to wet wood, even more so. Gnats, flies and other bugs are also attracted to this moisture. The problem with bugs and termites is that they can cause real structural damage. Once you see a little bit of damage, it can cause even more problems quickly. Gnats and termites are drawn to the decayed, destroyed wood that they create, so you want to be vigilant to not allow moisture to build up on your wooden framed windows. The window seals can sometimes start to fail if a few different situations occur. First, condensation that forms from high temperatures such as in the kitchen or in the bathroom can cause failure if that condensation isn’t addressed. The high temperatures from cooking or baking result in condensation when the heat meets the coolness from the window. This turns into moisture that, if not wiped away, may eventually lead to seal failure. When seal failure occurs, it can mean that some of the non-toxic inert gases found in between window panes are slowly escaping. These gases are meant to keep your windows energy efficient; they keep cold air from escaping in the summer and cold air from entering in the winter. Essentially, these gases help seal the window, keeping your energy bills down all year round. However, with window seal failure, the gases escape and you’re not as protected. Another problem with window seal failure is that mildew can start to grow from unwiped condensation. Mildew and mold are never good because they can pose health risks, and they can, at first, go undetected. However, mold spores spread very easily, so within a few weeks the mold can start to spread to other areas of the wall and eventually manifest as black mold. If not taken care of right away, you may need to deal with replacing part of the wall or window to stop the spores from spreading. A window that’s drafty defeats it’s main purpose. A window isn’t just meant to let air circulate through; it also should keep cold air out during the winter, and keep air-conditioned air in the room during the summer. 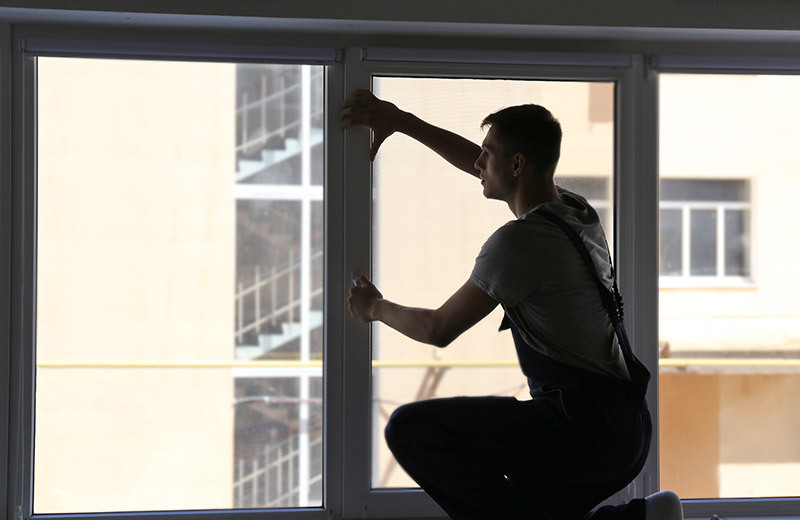 If you feel a draft coming through the window, you may have an issue with a number of parts. If you feel cold air coming in through the frame, or near the window trim, you can use a non-toxic caulk to seal out the cracks that may be letting cold air in. Apply caulk around the trim, near the joints of the trim, or between the trim and the frame. Another option is to apply weather-stripping near the edges where the window closes. Weatherstripping is generally inexpensive and can be found in most hardware stores. Fogging windows or a fogging over of the windows can be a sign that window seal failure has occurred. If your windows are fogging over, you’ll want to address a possible seal failure and correct it before the window needs to be replaced entirely. A window that cannot be opened defeats the purpose of a window. We want windows in our home so that we can bring in the fresh air. If a window is difficult to open, it may mean that the hinges have rusted, which can be a sign of hidden moisture and thus mildew. A window that cannot be opened is also a safety hazard. In the event of an emergency, you want to be able to open your windows easily so that they serve as an egress. It may not seem like the most important thing, but cleaning your windows is an essential part of maintaining them. Windows can be very expensive to replace, and it’s certainly not ideal to have to pay someone to clean them for you. However, certain types of windows can be harder to clean than others. For example, single hung windows are usually more difficult to clean than double hung windows because there’s an area of the fixed window that is blocked off by the other sash that moves. Maintaining your windows doesn’t need to be very difficult. With a little bit of TLC, you can make sure that they last longer and are energy efficient. Look out for the above issues such as signs of window seal failure and verify that they open and shut easily, and you’ll be a more informed and comfortable homeowner.